Our bestselling beer, and the first beer we ever brewed. We wanted to make an ale that feels as familiar as walking into your favourite country pub. So we used traditional British malts and balanced the soft fruits and bittersweet caramel with a soft, smooth bitterness. 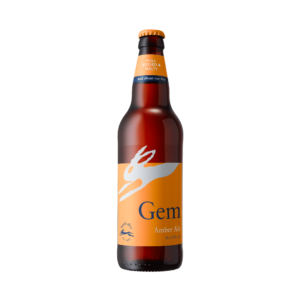 Our well-balanced amber ale that sees the malty character from the Maris Otter barley really shine through. All British hops, including Goldings from Kent, add a subtle, aromatic spice. Available in pubs across the south west and beyond.